Leaning Tower of Pisa is one of Italy’s most iconic symbols. Anyone who sees a picture of it will immediately know what it is. 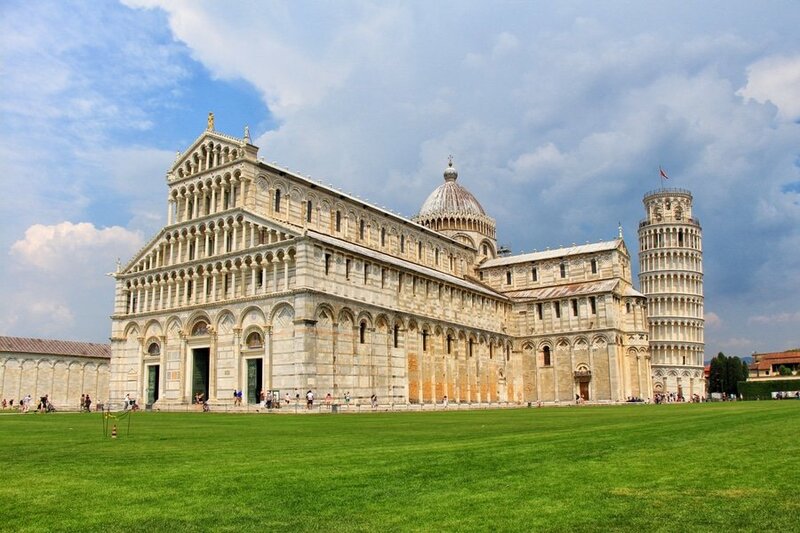 If you are planning a trip to Italy and looking for cities to add to your travel itinerary, then you can consider Pisa. This 24-hour suggested itinerary will lead you to Pisa’s famous tourist attractions and will help you make the most of your trip. Depending on your traveling priorities, you can certainly fine tune this itinerary to suit your needs. 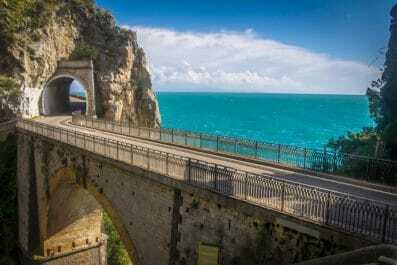 Getting around – Italy features an extensive public transport network consisting of buses, trams, trains and ferry networks. In Pisa, you can get around using local buses, taxis, and Hop on – Hop Off Tourist Buses. The center of the city is a fairly compact area which can be explored on foot. If you see yourself taking public transportation several times, then you may get a Pisa 24-hour pass, which provides unlimited bus travel within the city. This card can be purchased at any convenience stores, new stands, city’s tourist center and the airport. You can also bike on your own or join one of the guided biking tours offered in the city. 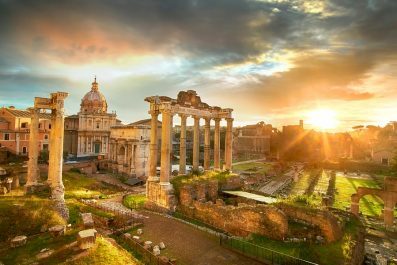 Where to stay – There are many types of holiday accommodation in Pisa, from luxury hotels to cheaper accommodation like youth hostels and bed and breakfast. There are also plenty of apartment rentals and campsites if you prefer the comfort and convenience of having your own place with cooking facilities. For first time visitors, we would recommend accommodation options within the old city walls as this area is centrally located and close to restaurants and bars. 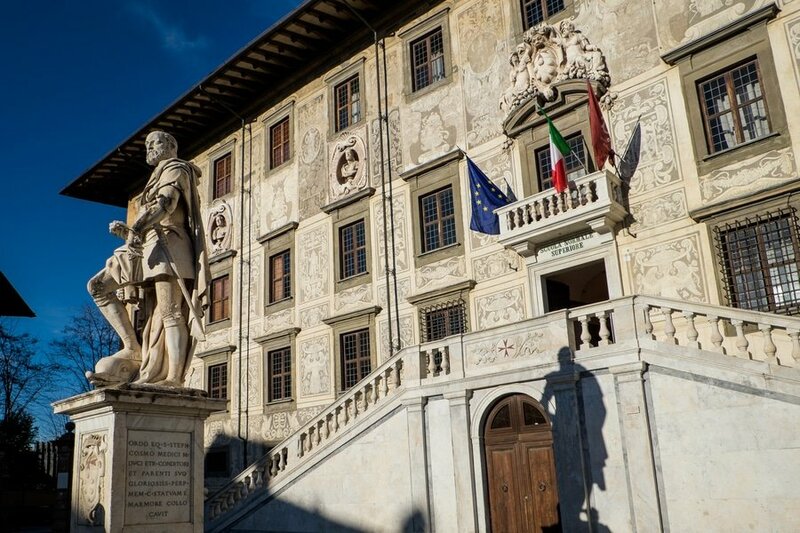 On your first day, take in a few of Pisa’s most famous attractions and get an introduction to its rich history. Getting to Pisa from major cities in Italy like Florence is easy. Its excellent infrastructures and location make it a place easy to reach by various transportation options. By Regionale and Regionale Veloce trains from Firenze Santa Maria Novella Train Station in Florence, the average travel time to Pisa Centrale Train Station is approximately 1 and 10 minutes. 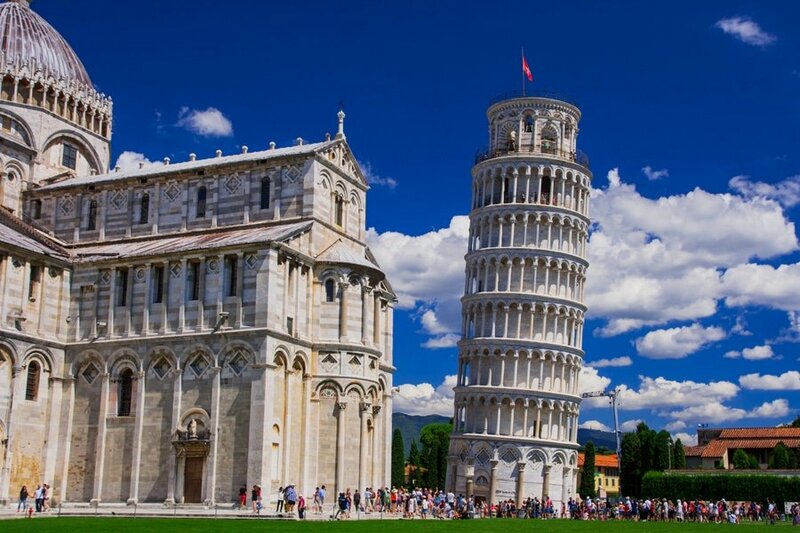 Depending on your time of arrival, you can either take it easy and soak up the atmosphere in Pisa or you can begin your tour of its famous attractions. There is no better way to get to know the city than visiting the Piazza del Duomo (Cathedral Square), otherwise known as Piazza dei Miracoli (Square of Miracles). 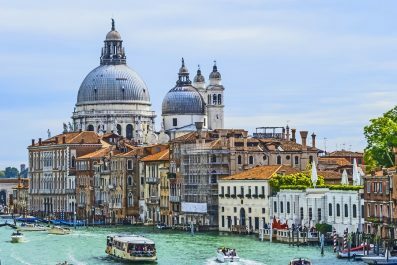 This part of the city steeped in history is a classic example of an Italian square filled with traditional buildings, cathedral, shops, small businesses and other important structures. The most famous attraction in this historic square is the Leaning Tower of Pisa, the centuries-old icon known for its unintended tilt. Get creative and take awesome/funny shots of the tower. You may also visit the Duomo di Pisa (Cathedral of Santa Maria Assunta), located outside the city walls near the leaning tower. At the northern edge of the cathedral, you will see the Camposanto Monumentale (Monumental Cemetery), the burial-place of the upper class in Pisa. Another attraction you should not miss is Battistero di San Giovanni (Pisa Baptistery of St. John). After lunch, explore the Piazza dei Cavalieri (Knight’s Square), another famous square in Pisa. During the medieval period, the Knight’s Square served as the political center of the city and was home to the headquarters of the Order of the Knights. In the afternoon, make a quick visit at the Museo Nazionale di San Matteo (National Museum of Saint Matthew). 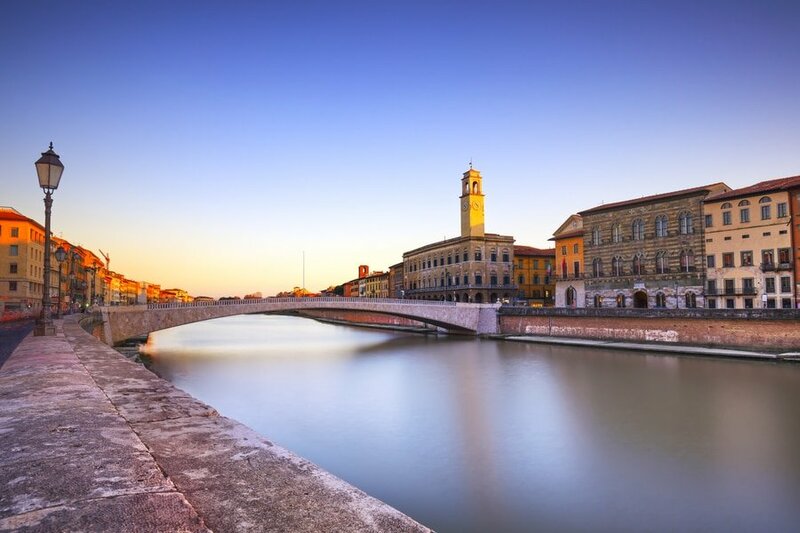 End your day at Ponte di Mezzo located near the shopping district of Pisa. This is a perfect place for sunset viewing where you can get a stunning view of the city and its historic structures. After your historic tour, make your way back to your hotel and get a good night sleep. It’s time to say good-bye to Pisa! If you still have time, fit in an amazing breakfast or lunch in the city. You could even squeeze in some souvenir shopping before you travel back to Florence or other parts of Italy. You may continue traveling independently, or extend your stay in Pisa. The decision is all yours! This is the end of our 24-hour suggested itinerary. Remember, this is just a guide for planning and is in no way, shape or form, the only way to travel the city. There are several alternative routes of travel within Pisa and it will depend on your intended length of stay. Enjoy! Have you been to Verona or anywhere else in Italy? Do you have any tips or suggestions to share? If so, you can leave your comments below.